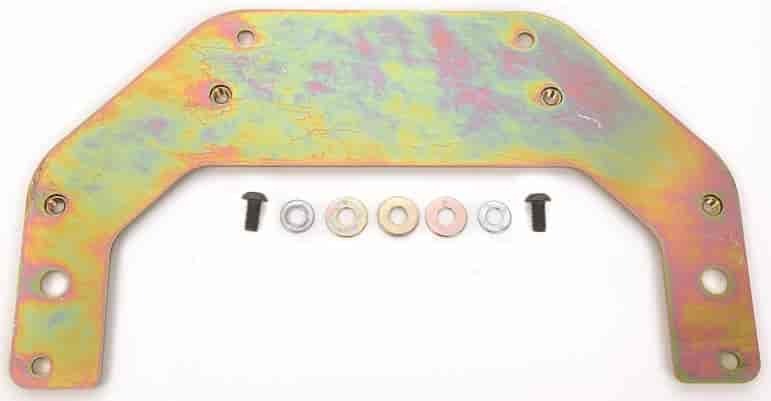 These adapter plates are available to bolt Buick, Olds or Pontiac (B.O.P.) transmissions to Chevrolet engines or vice versa. Kit comes with adapter plate and all bolts and spacers required for installation. No modifications are required to either the transmission or engine block to install adapter plate. 60172 is rated 4.0 out of 5 by 1.
will this work for buick 231? This is made to fit the V8 applications.